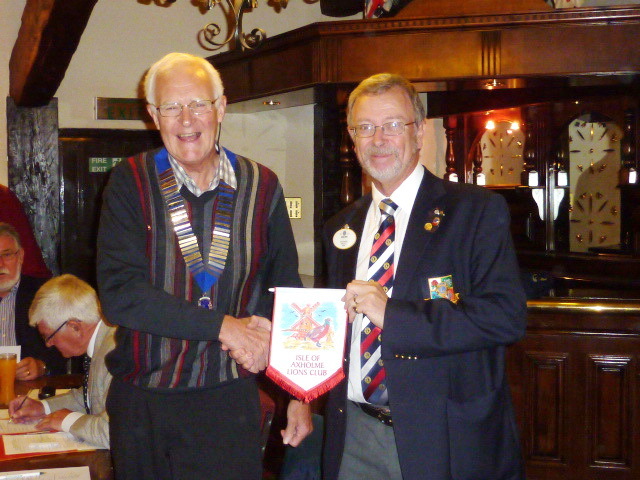 President Peter presents the DG with or club banner. 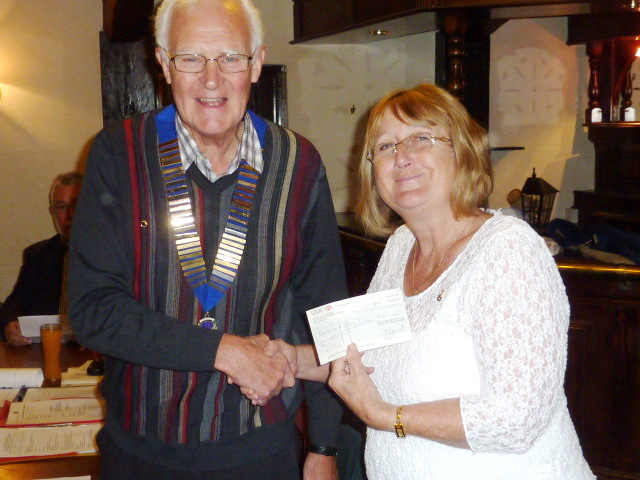 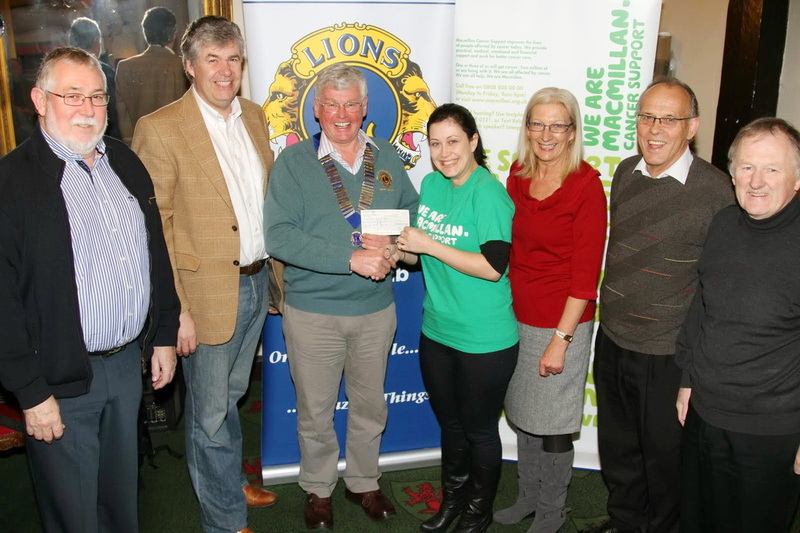 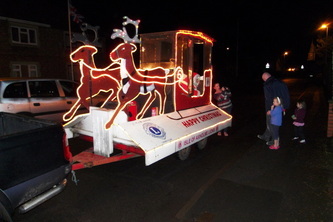 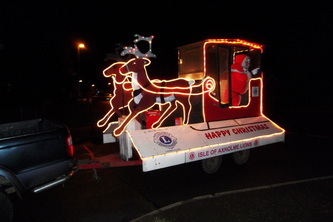 The Presidents presents DG's wife Pam with £150 for her years charity. 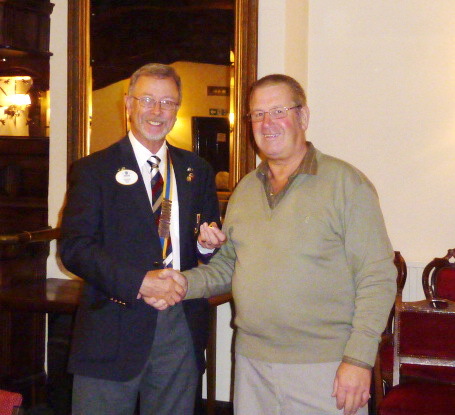 The DG inducts Peter Flint into the club.